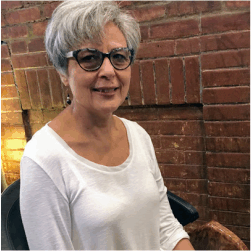 Urmi started teaching in 2001 out of her home and opened the studio is 2003. She loves teaching and working with all the families. She has been playing the piano since she was 4 yrs old. She started the violin at age 8. Ever since then she has performed with several Orchestras and taught Piano and Violin. She got a Bachelors Degree in Respiratory Therapy, but her passion was always in music, so in 2001 she started Batavia Studios out of her home. It has been such a great opportunity to work with different families throughout the years. In 2013, she started Batavia Musical Theater School. We have done a total of 5 full stage productions up to date , including, “Little Mermaid, JR”, “Aladdin JR.”, “Into the Woods, JR”, “James and the Giant Peach JR” and “Kids on Broadway”. We have had so many talented students and very proud of the 5 shows we have done so far. Just this year, Batavia Studios opened its newest addition – Batavia Studios of the Arts! We are very excited to provide local students the opportunity to explore their creative and artistic side. Fugi has been a music instructor at Batavia Studios for the past 14 years. She holds a BA from the University of Pittsburgh where she studied music and communications. She teaches piano, voice, flute and guitar. Fugi was a founding member of our drama department and has assistant directed in all five of our productions. She has been delighted to see the progress our talented students have made. Fugi also plays piano and sings with her husband Greg in a duo called Grugi. 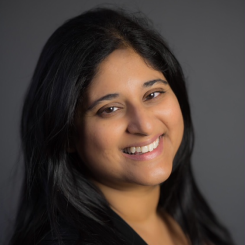 She is a certified yoga instructor and reiki practitioner. Fugi loves teaching and loves her students. Jovana Zaremba, Full-Lyric Spinto Soprano, has been teaching voice and piano at Batavia Studios since 2015. Jovana completed her Master’s Degree in voice performance at Duquesne University and currently studies with Sari Gruber. Most recently, Jovana has been seen singing the soprano solos for Masterworks Chorale’s performance of Mozart’s Coronation Mass December, 2017. She also enjoys traveling and performing with local Serbian women’s group, Carica Milica. Originally from St. Petersburg, Florida, Jovana earned her Bachelor’s Degree in music at Stetson University in DeLand, Florida. Since moving to Pittsburgh, Jovana completed her MM, has been teaching a growing studio, and also working in early childhood development. Jovana loves teaching, and participating in the Batavia musical productions, as well as actively performing. Rocky Youhon has been making music for as long as he can remember. He began his studies with his mother who gave him his first piano lessons. In elementary school he picked up the violin and has not put it down ever since. As Rocky grew up, his musical inspiration led him to study the bass at Duquesne with a regiment of jazz and more contemporary styles. 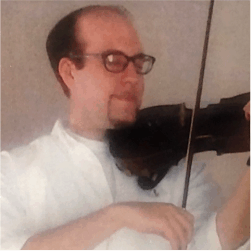 Nowadays Rocky can be found performing throughout Pittsburgh as a violinist and bassist in the Edgewood Symphony and the Eclectic Laboratory Chamber Orchestra. Rocky teaches Violin and Piano. Joe received his degree in music education from University of Maryland with a concentration in saxophone. There he played in jazz bands, concert bands, saxophone quartets, and sang with the University Chorale, the school's top chamber vocal group. 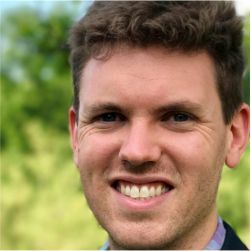 On graduation, he was assistant conductor of the Northern Virginia Community College band, and taught general music, band, and strings with Montgomery County Public Schools. In 2011, Joe moved to Dayton, Ohio, and there created a music program at the Montessori School of Dayton for students in Pk-8. He loved teaching younger students how to sing and play Orff percussion and ukuleles. Older students could choose to play guitar, bass, keyboard, woodwind, brass, world drumming, and sing in chorus. He also supervised a student-led variety show. While in Dayton, Joe also played keyboards, saxophone, and sang in many local bands. 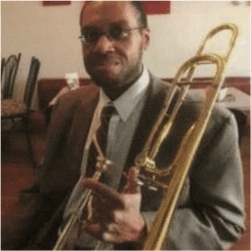 Now here in Pittsburgh, Joe loves teaching beginners on many instruments, and concentrates in saxophone, piano, and voice. He believes there is nothing better than helping a student gain confidence in music through perseverance and performance. Holly is a veteran piano teacher, for years she doesn't care to count! 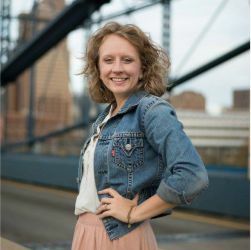 With a degree in piano from the College of St. Catherine in St. Paul, she went on to a Master of Music in Choral Conducting at the University of Minnesota. 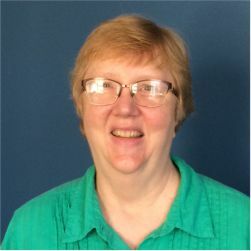 Her experience includes private piano lessons, group piano lessons, and conducting stints at the University of Wisconsin Center in Marshfield, WI; Vivace select, prize-winning children's choir; various church gigs and currently, Music Director at St. Luke's Lutheran Church in Saxonburg. She loves children and loves music, and loves to bring children and music together! Alyssa is thrilled to be on staff with Batavia as a piano, strings, and voice teacher. She earned her Bachelors of Music in Music Education with a concentration in piano from Grove City College where she was the Senior Head of the dance troupe, sang with the Touring Choir, and was the GCC Orchestra's section leader. 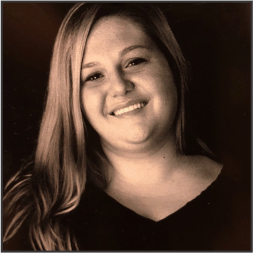 Alyssa has directed music for a number of theater productions with Pittsburgh Public Schools. She has also sung with the Mendelssohn Choir of Pittsburgh. Alyssa lives in the city with her husband, dog, and cat and loves travelling!